Friday Organizing Favorites Oct 5/18: Makeup Storage, Clutter Causes Anxiety + more! Hello y’all! Happy Friday in October as us Canadians go into Thanksgiving weekend. I am so thankful that we have an early Thanksgiving here while it’s still actually fall outside. If we had ours in November it would be in the middle of winter for us and pumpkins never seem right with snow on the ground 🙂 The beautiful sun is shining today and that definitely lifts my spirits especially when my health tries to get me down. You know what else I love? I love having a home that smells amazing! Since I don’t love using candles because so many use toxic chemicals, I run my essential oil diffuser throughout the day instead. Some of you will remember that turning it on every morning is part of my morning routine. If you missed that post you can catch it HERE. 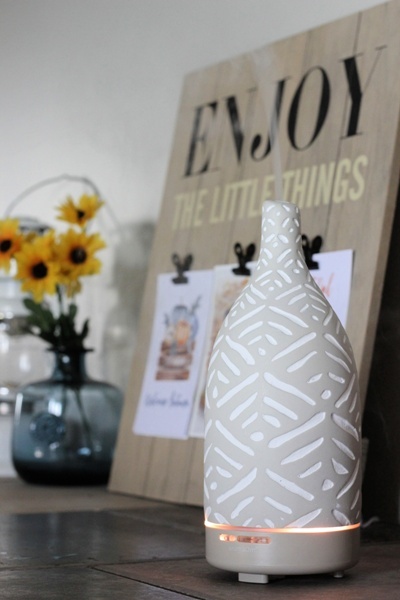 I recently purchased a new diffuser that I am obsessed with. I have been looking for one that wasn’t plastic and more of a decorative piece. This beauty is from Saje Natural Wellness (not sponsored) and it was designed by Jillian Harris (from Love It or List It Vancouver). The cover is made of a heavier stone material and is so pretty! And Canadians can get free shipping all this weekend. One of my favorite essential oil blends right now is 3 drops grapefruit, 2 drops lemon, 2 drops rosemary and 1 drop peppermint. So fresh and clean smelling! You can find so many great blends on Pinterest. I write them all down in a notebook and try different ones all the time. 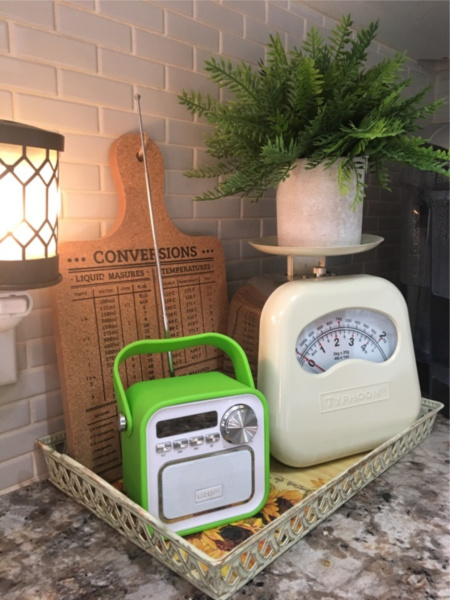 A second favorite of mine is this sweet little Portable Bluetooth Speaker and FM Radio (affiliate link). I meant to share about it in the summer and forgot but I’ll share it now anyway. It’s the perfect little deck speaker which is why I originally bought it. However now I’m using it as my kitchen radio and I love it. Works really well and the price is great! My most popular post this past week is one from earlier this year. 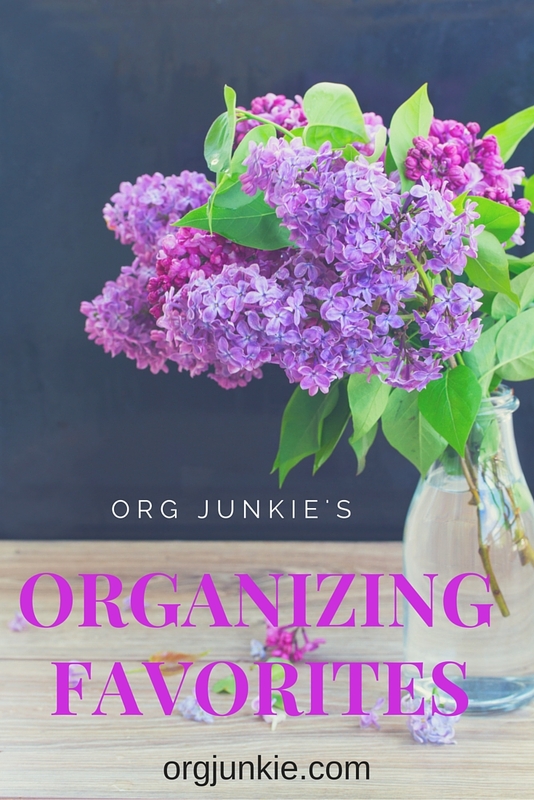 I wrote it in January and confessed how I broke one of my own organizing rules. Can you guess which rule it was? Now it’s time for a few favorite posts from around the web that I enjoyed this week. I love sharing these with you and supporting others. There is so much buzz about the Instant Pot right now. If you are wanting to learn how to use one check out this FREE Instant Pot School with video lessons, an Instant Pot Meal Plan, lesson downloads, assignments and Instant Pot giveaways. 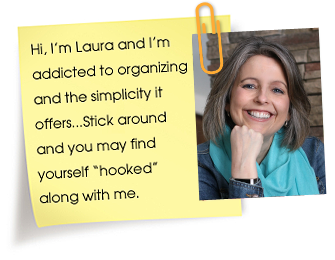 Have a great weekend everyone and don’t forget to take some time for organizing! !